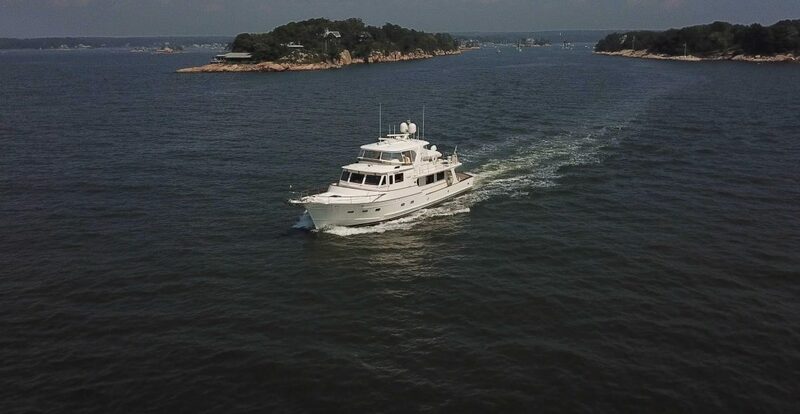 A unique captain maintained Fleming 65 equipped with twin MAN CRM-10 engines at 1100 hp each. 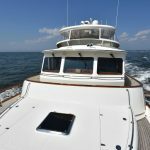 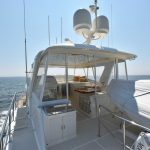 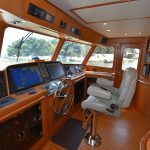 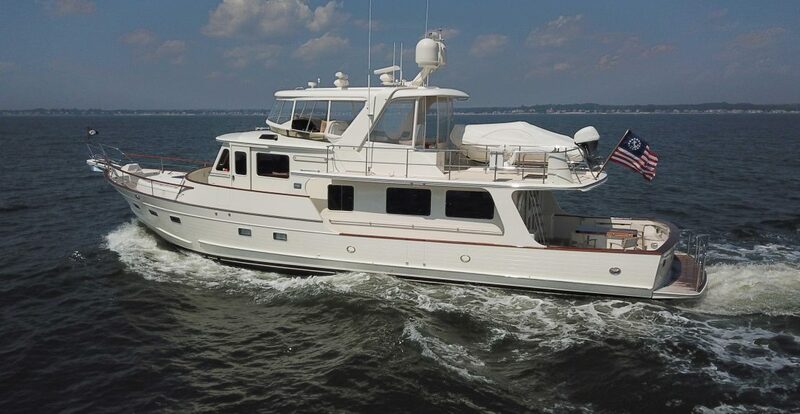 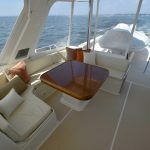 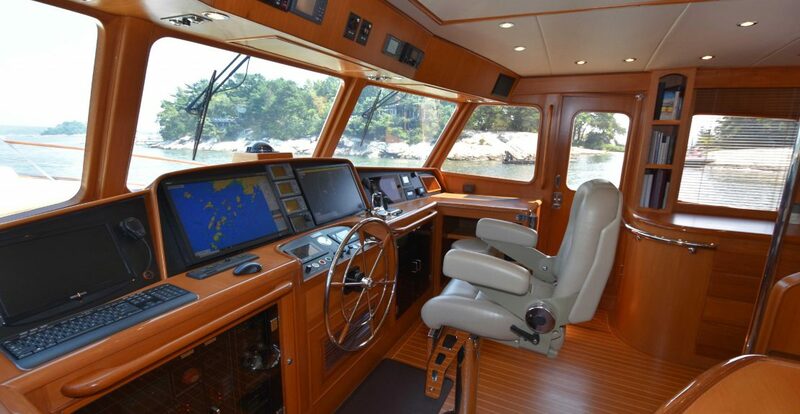 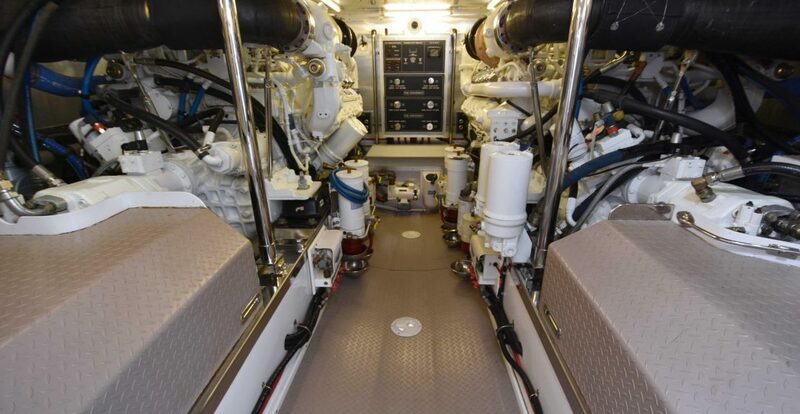 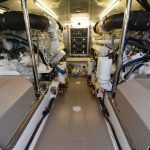 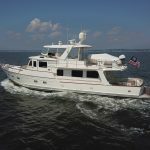 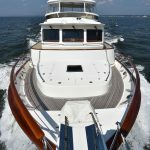 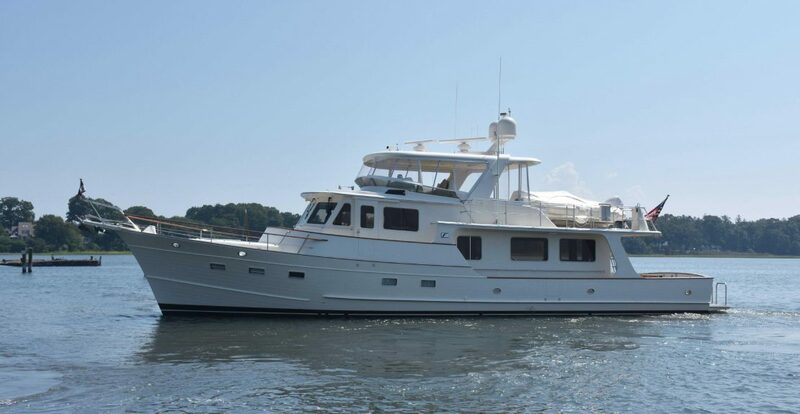 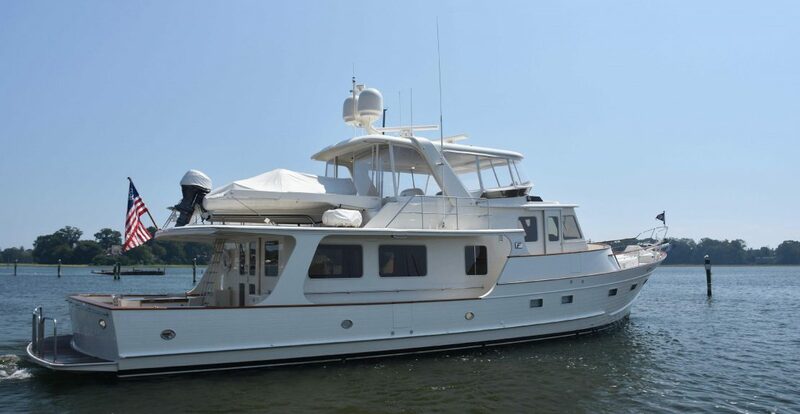 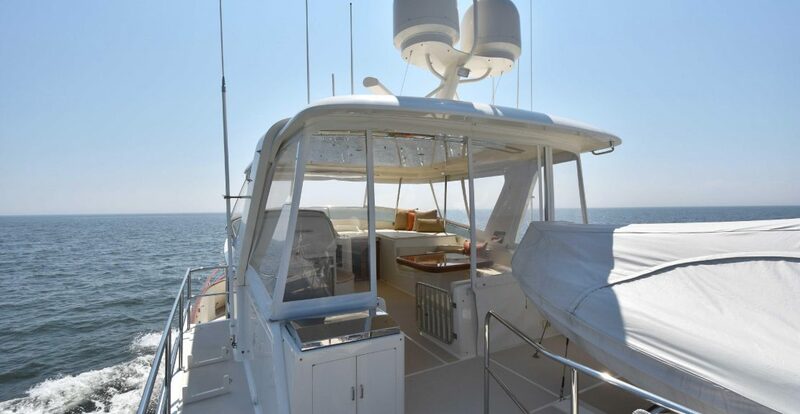 Features include: (2) Onan 27.5kw generators, ABT hydraulic stabilizers and bow & stern thrusters, Aqua-Drive system, Furuno NavNet 3D & TZTouch electronics, water maker, fiberglass hardtop with full enclosure, new Bosch refrigerator, custom cockpit table, freshly varnished exterior teak, and a variety of unique layout options throughout the vessel. 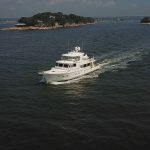 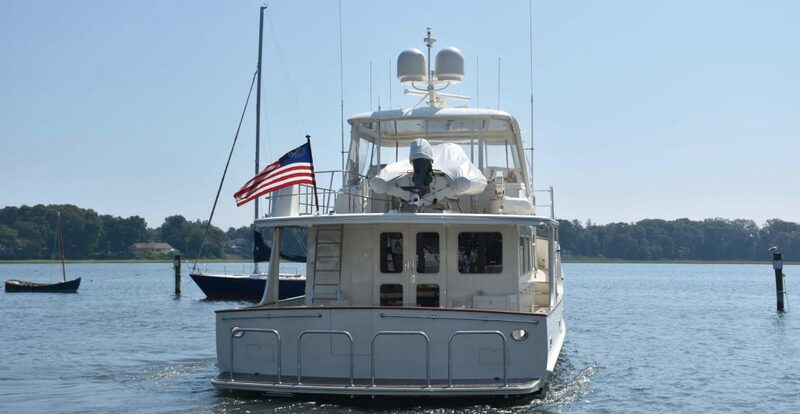 Interior accommodations include: a three bunk arrangement to starboard cabin, a VIP stateroom to port featuring a queen berth with slide-out upper bunk to outboard, and a en-suite master stateroom with an island queen berth. 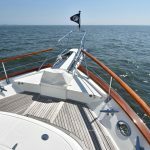 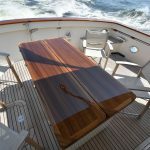 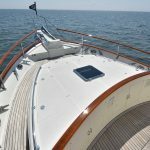 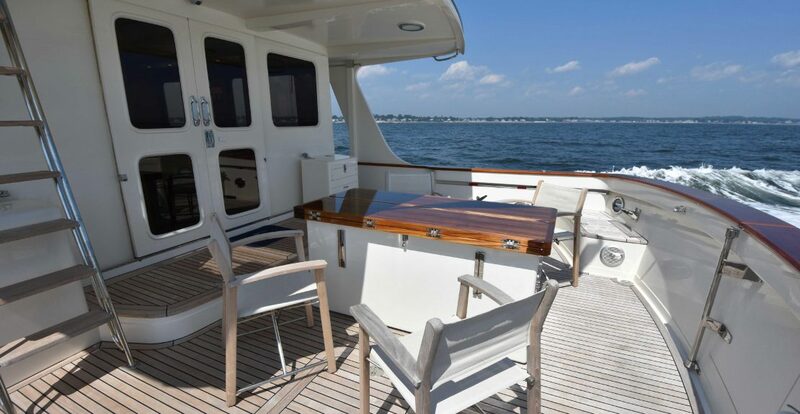 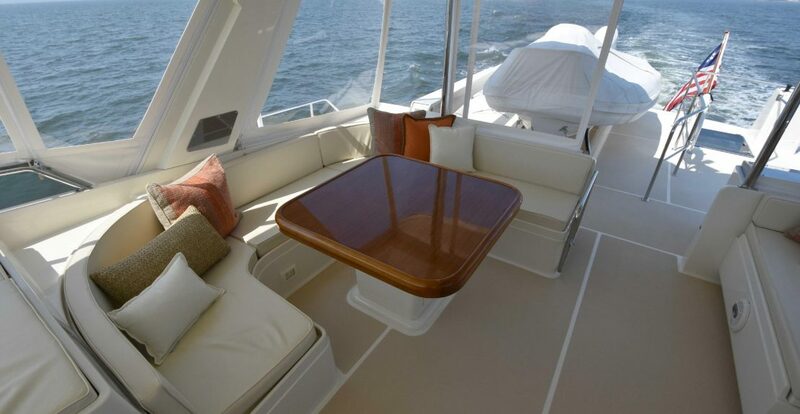 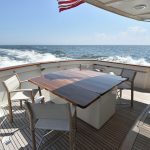 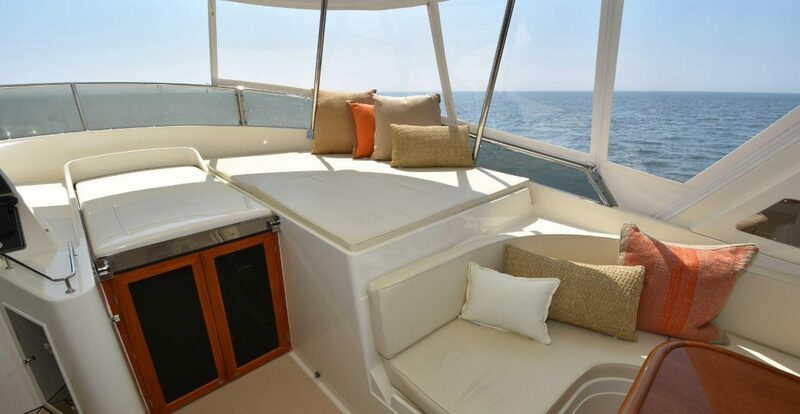 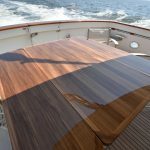 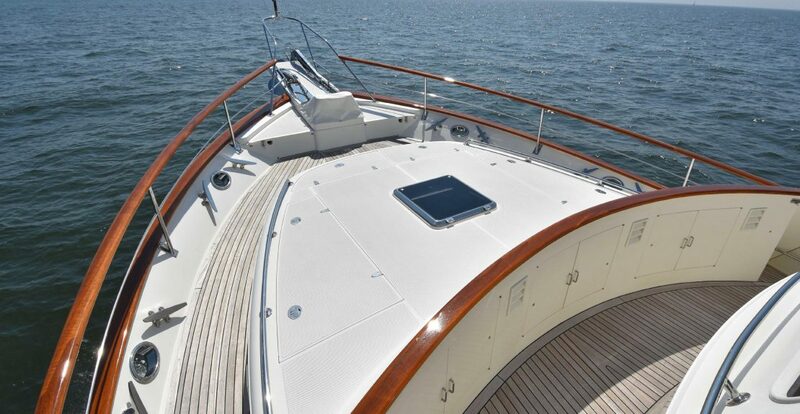 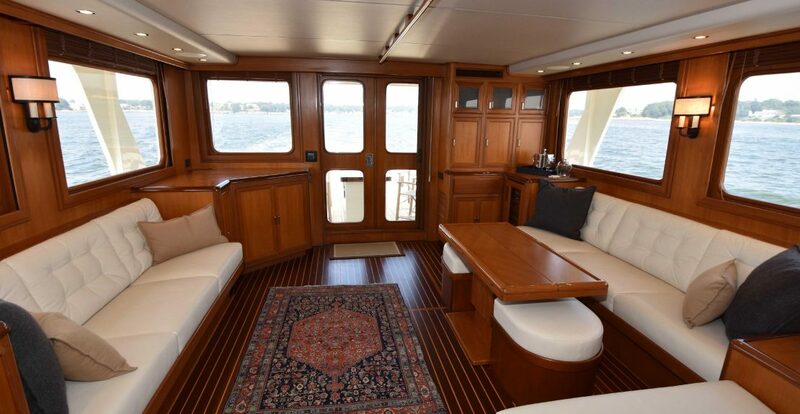 Starting at the aft port side corner is a teak dry bar with a wine cooler and bountiful glass and bottle storage provided by teak cabinetry. 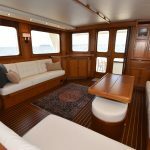 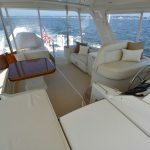 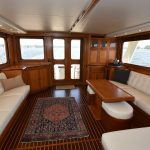 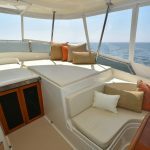 Forward from the bar, a large settee extends along the port side and wraps inboard along the edge of the galley peninsula. 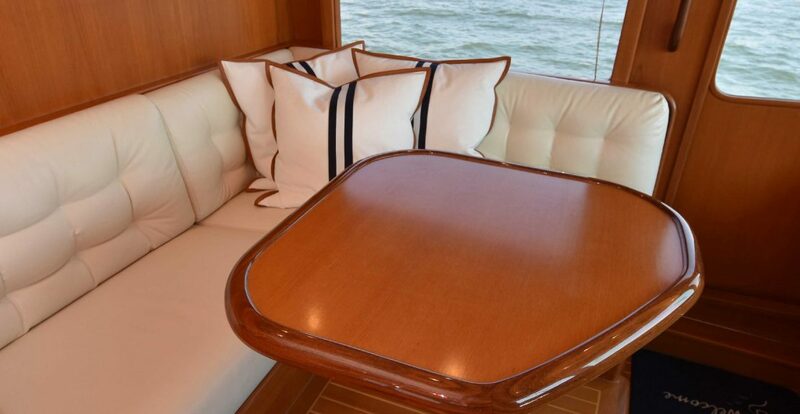 The corner portion of the settee is broken up by an end table with storage and a freestanding teak hi-lo table with two stools compliment the seating to port. 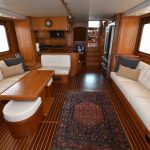 To the starboard side is an additional settee, which along with the settee and stools to port, brings the salon seating count to nine. 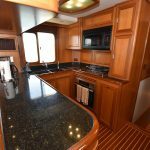 The starboard aft corner features an entertainment cabinet equipped with a 42” Samsung HD TV on a retractable hydraulic lift. 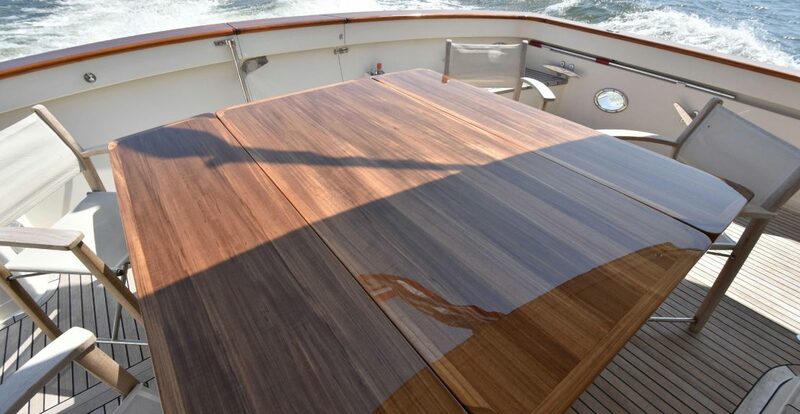 Below the television, the teak cabinet houses the all the salon entertainment and stereo equipment for the salon. 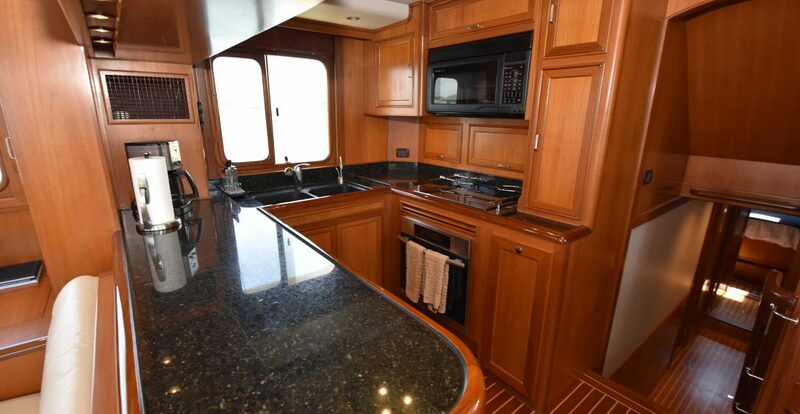 The spacious galley features granite counter tops and is equipped with a silagranite double-bowl sink, filtered water & instahot dispensers, waste disposal, convection microwave, induction four burner cook top with custom potholders, stainless steel oven, French-door refrigerator, and dishwasher. 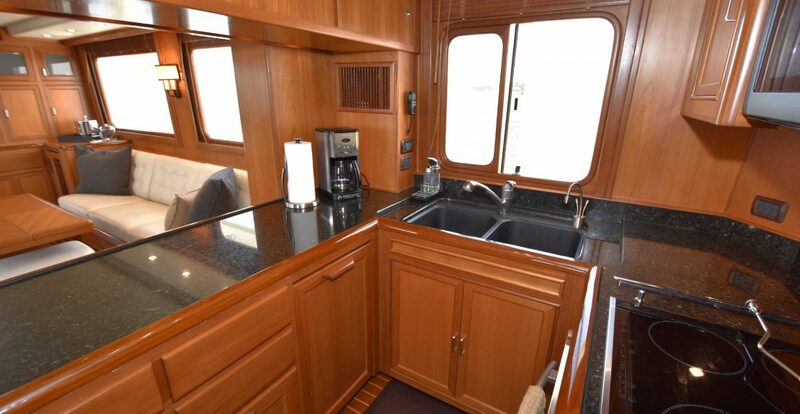 A convenient slide-out storage compartment just forward of the cooktop can accommodate a full range of saucepans. 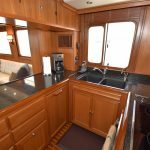 A dish locker and small pantry on the starboard side provides additional storage and doubles as serving counter for morning coffee. 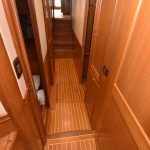 The accommodations layout features a central passage which has proved to be so desirable over many years in the Fleming 55. 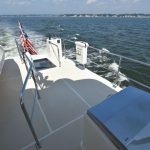 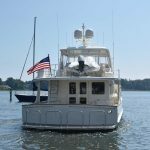 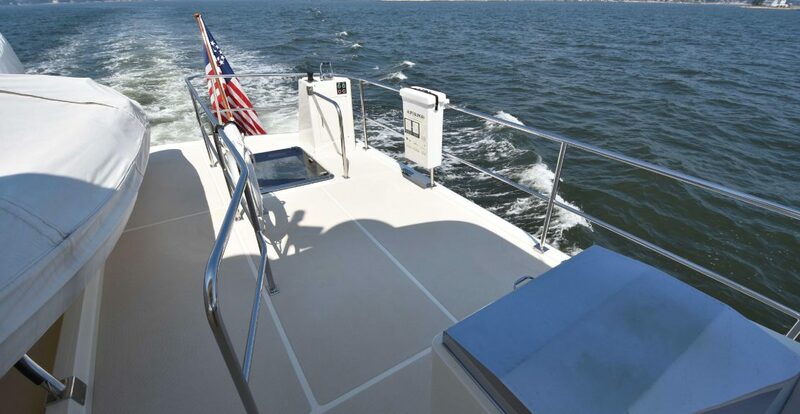 This layout contributes to an easy and convenient flow of traffic throughout as well as making it possible to appreciate the full length of the boat from forepeak bulkhead to transom. 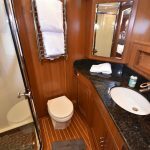 The arrangement provides a three berth guest cabin to starboard, a port-side VIP stateroom with a queen berth & overhead bunk, and an en-suite master stateroom forward. 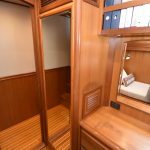 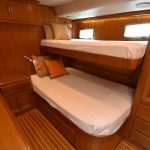 The accommodations are dressed with teak and ultra-leather and offer great comfort and convenience without any steep stairs to negotiate. 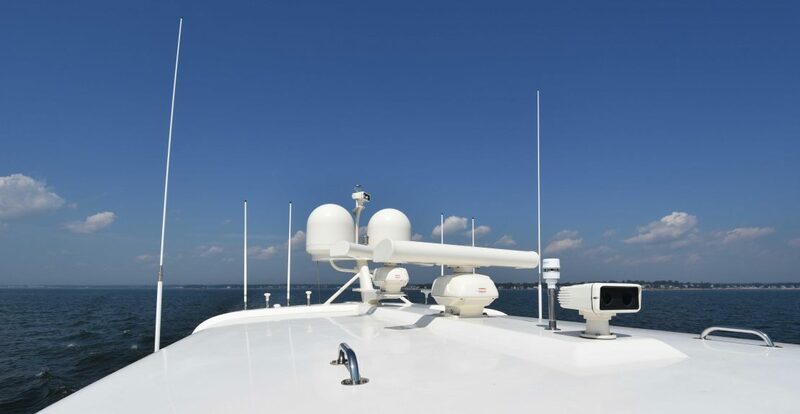 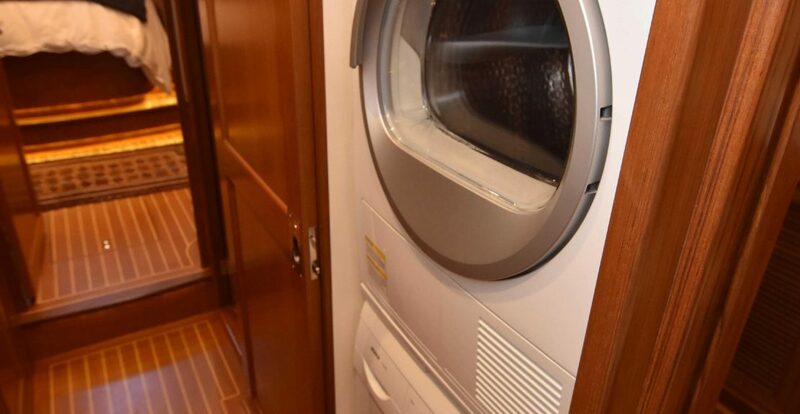 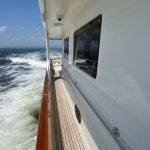 Russound audio/video control panels are situated throughout the staterooms and centrally located in the passageway behind a sliding teak door is the full-sized Bosch Axxis washer & separate dryer. 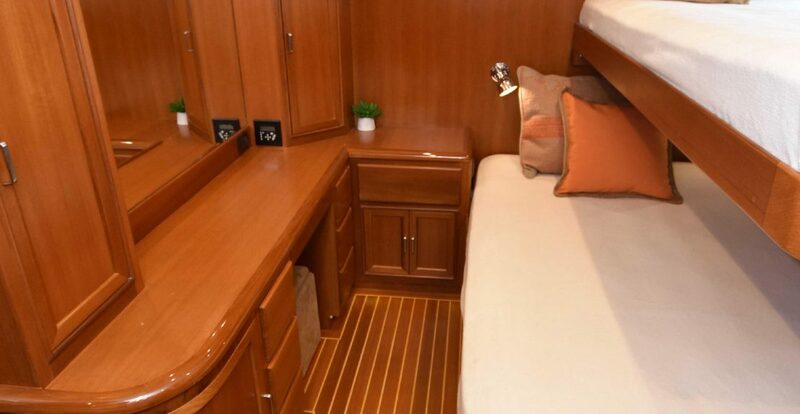 The master stateroom includes a queen-sized island berth, a layout which allows access from either side of the berth. 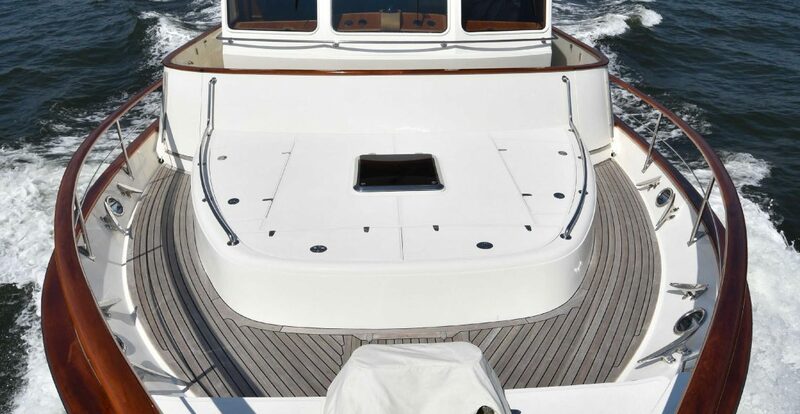 The recessed skylight overhead, in combination with port holes to either side provide natural light to the cabin. 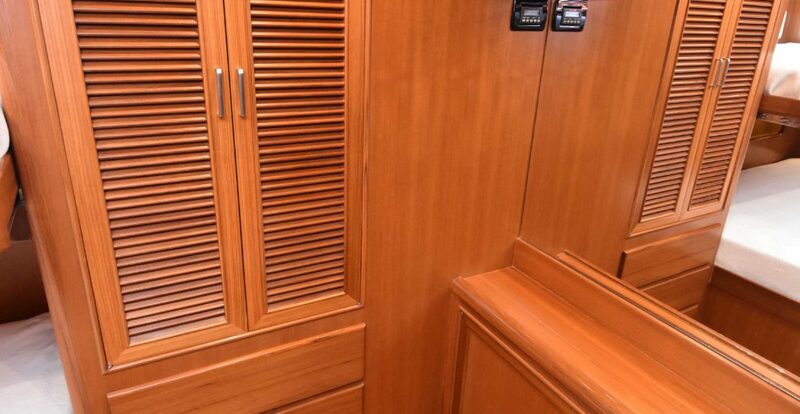 Ample storage is found via his & hers hanging lockers, drawers, and shelving. 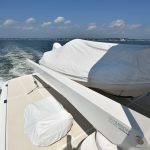 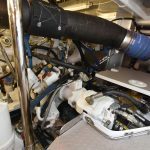 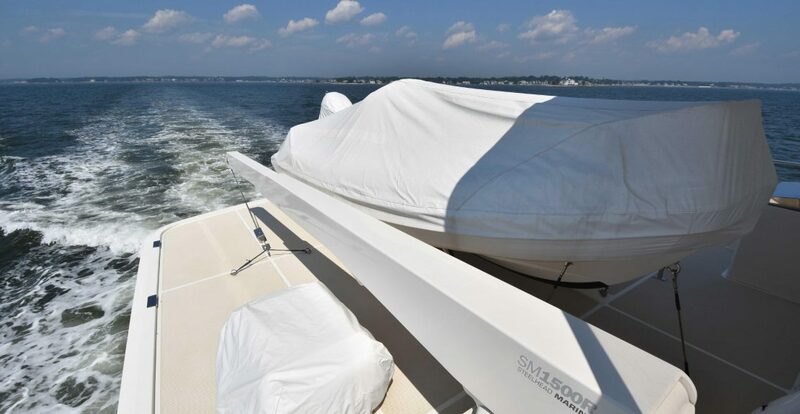 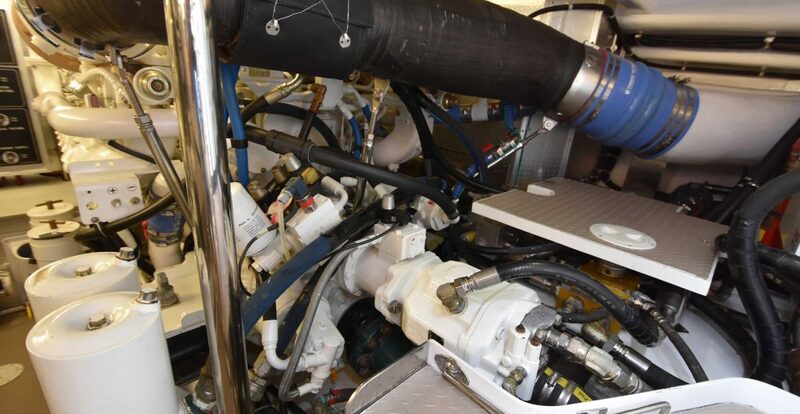 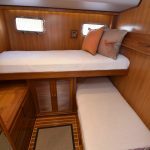 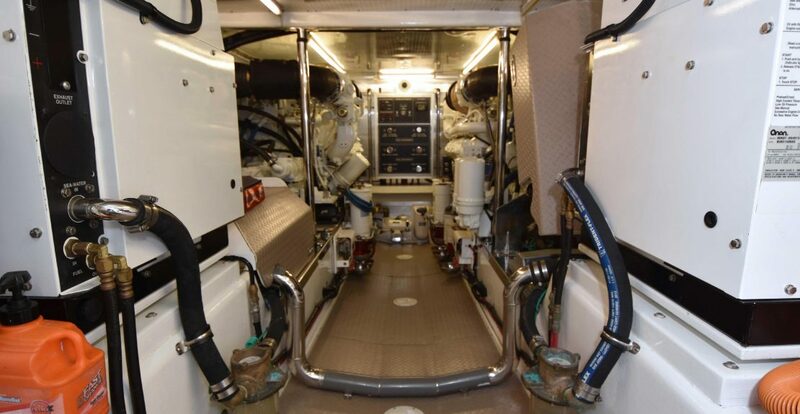 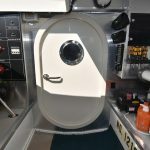 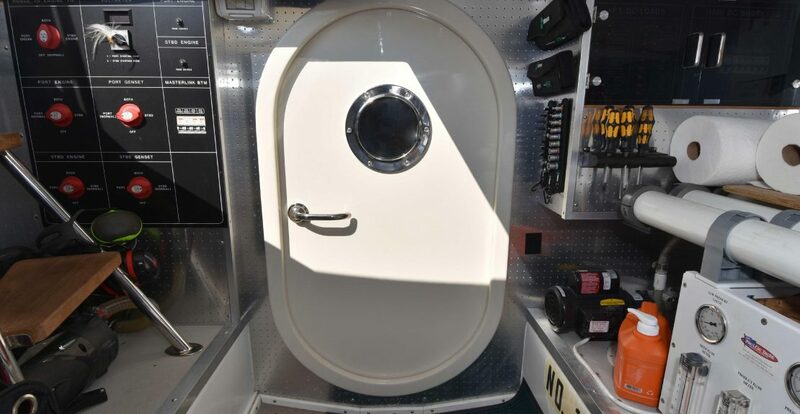 Additionally, a large cavity underneath the queen berth can be accessed through a hydraulic lift, perfect for storing extra bed linens or keeping valuables out of site. 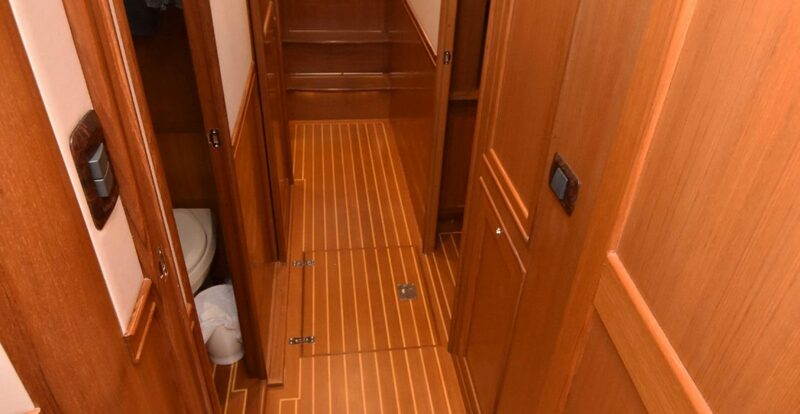 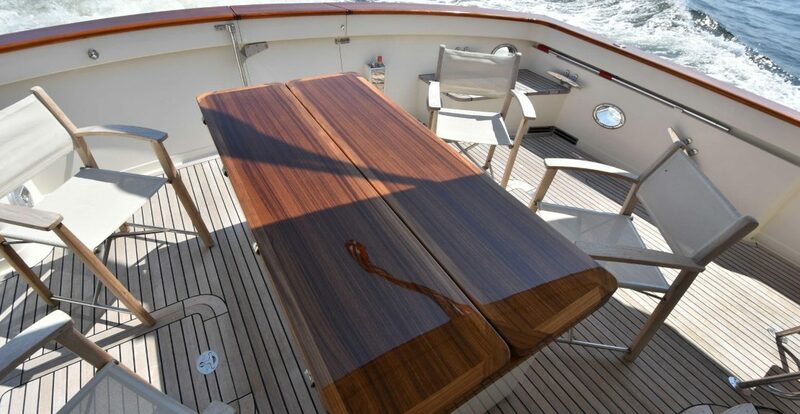 To the aft wall to starboard is a teak vanity with a flip up mirror and cabinets overhead. 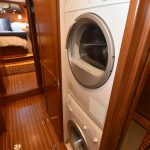 The inboard corner section of the vanity features a flip up top giving access to a hidden laundry hamper. 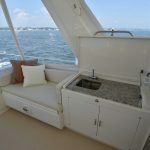 The en-suite master head access is found to port. 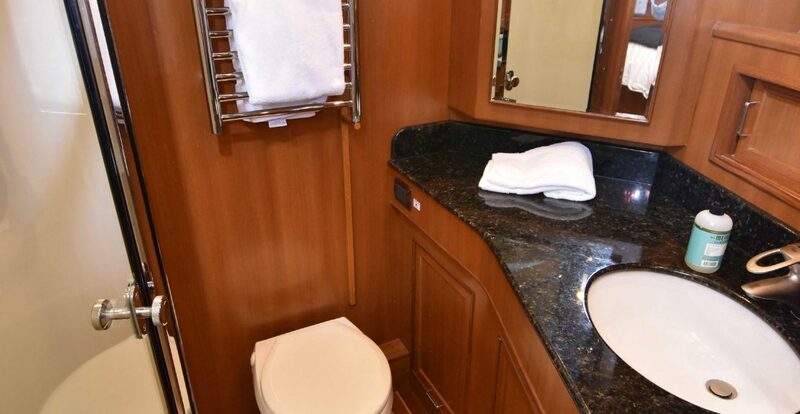 Both master and guest head are exceptionally spacious with generous glass and stainless steel shower enclosures. 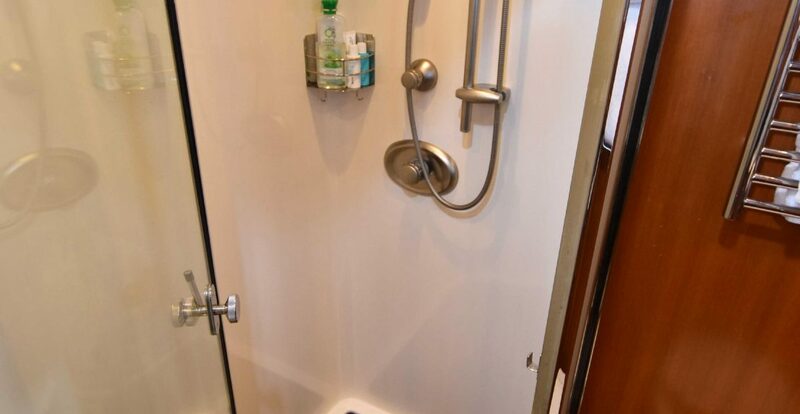 Hansgrohe fixtures and granite countertops compliment the matching granite flooring in the one piece molded fiberglass shower stalls. 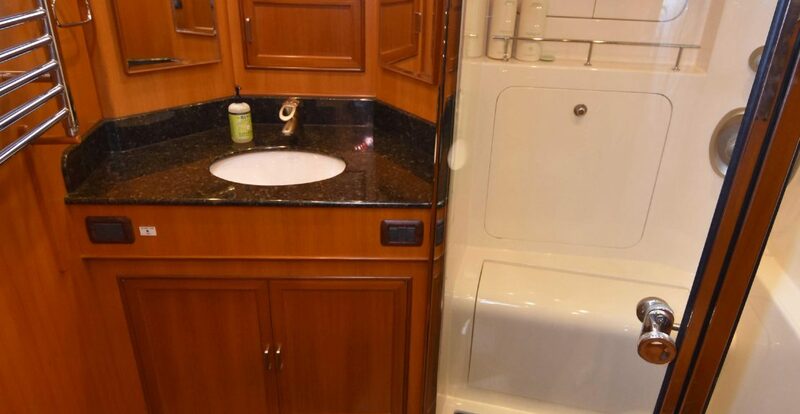 Both heads are also equipped with mirrored medicine cabinets, bountiful storage options, and luxurious heated towel racks. 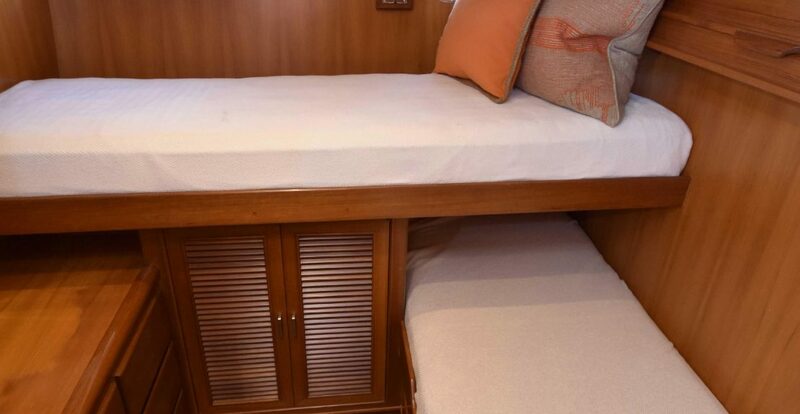 The port stateroom features a queen berth along the outboard wall with a slide-out bunk overhead and storage drawers below. 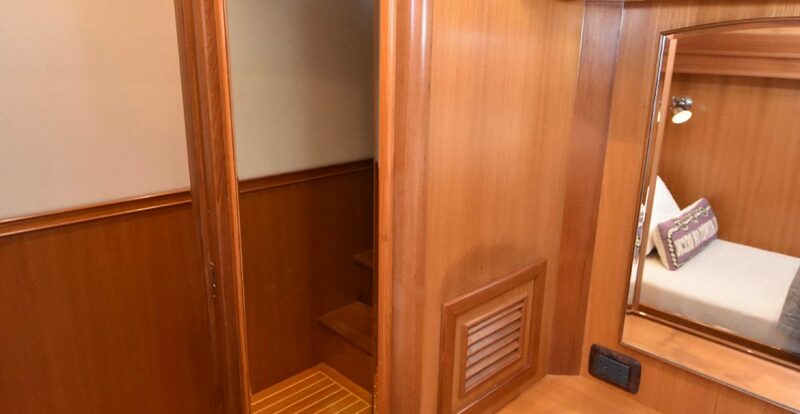 A large hanging locker with drawers is to forward, at the foot of the queen berth. 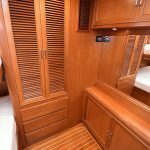 To the inboard wall is a mirrored vanity/desk offering a variety of storage compartments, drawers, and cabinets. 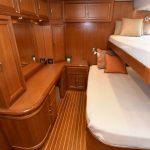 The starboard stateroom has two twin-sized berths crossed over-under each other along with a third roll-out berth overhead. 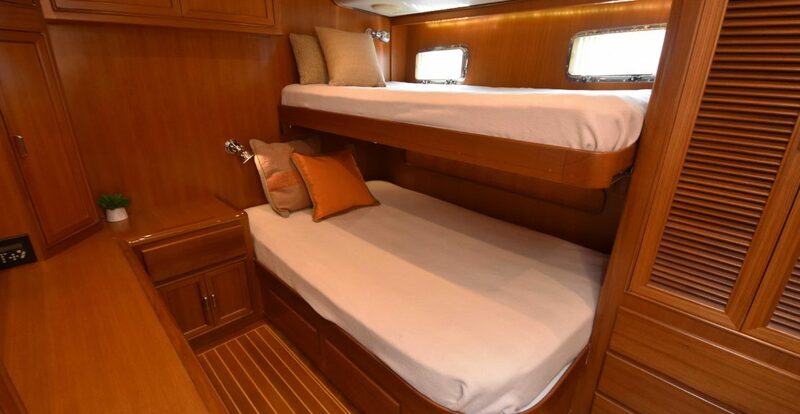 Underneath the upper bunk is a hanging locker, which along with the other drawers and cabinets, provides ample storage for the longest of trips. 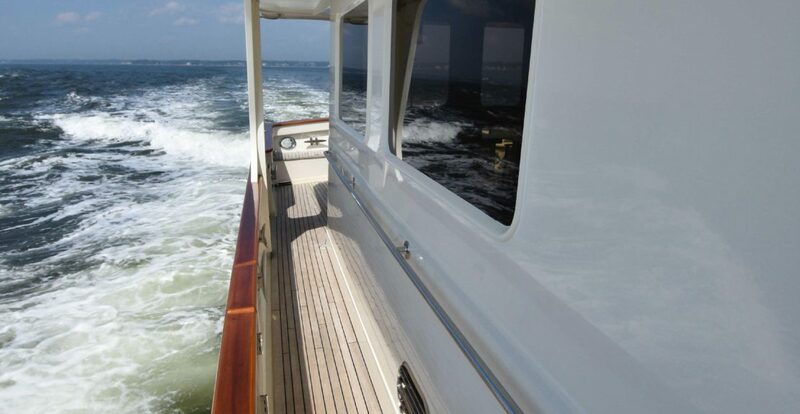 Visibility forward and to port and starboard is excellent, and the two sliding doors open to the wide side decks. 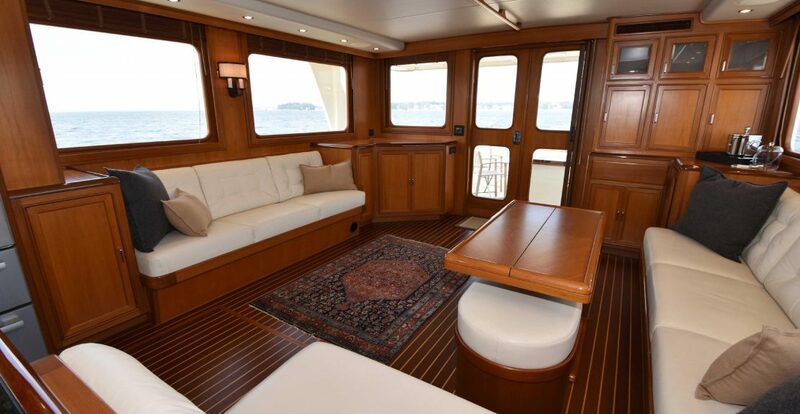 The traditional teak and holly sole is standard with fitted carpeting on top. 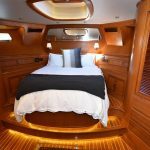 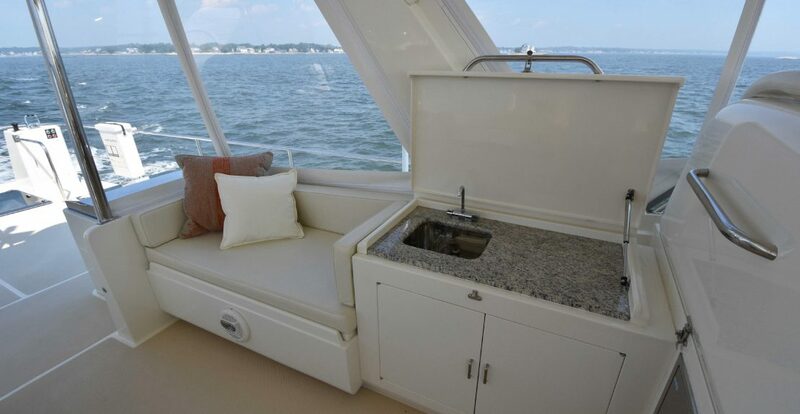 To aft port is a corner settee and table which provides an excellent view while underway and doubles as a pilothouse watch-berth. 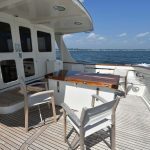 A desk area with a swing out stool to starboard provides working space for charts, cruising books, laptops, and navigation instruments. 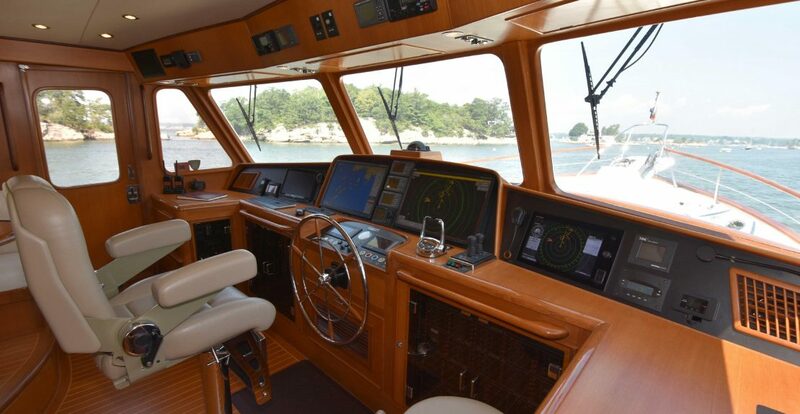 Aft of the desk, you will find large storage drawers perfect for binoculars, cell phone chargers, log books, charts, flashlights and everything else a captain needs to chart and follow a safe course. 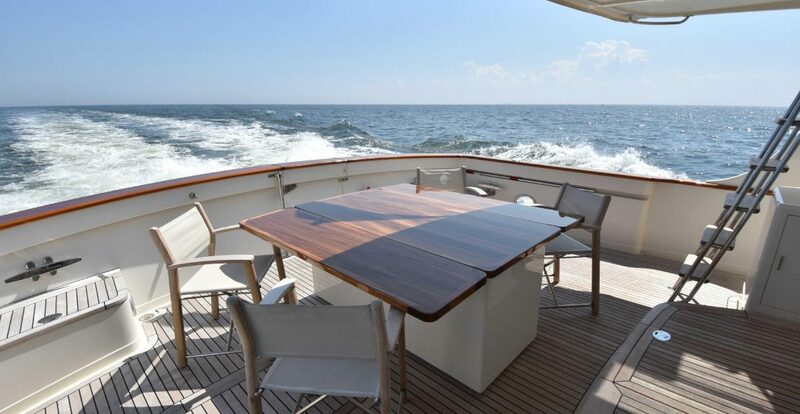 A Stidd helm chair and a large stainless steel teak-trimmed destroyer wheel compliments the ambiance of this ultimate cruising yacht. 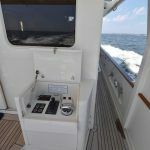 The flybridge is easily accessed from the pilothouse or by step ladder from the cockpit. 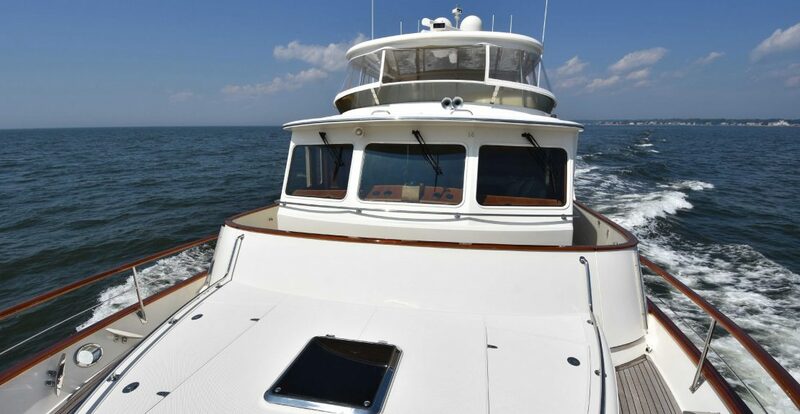 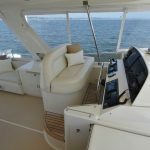 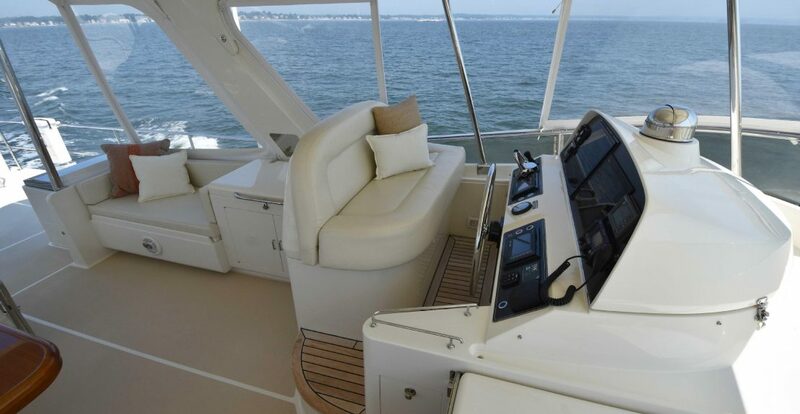 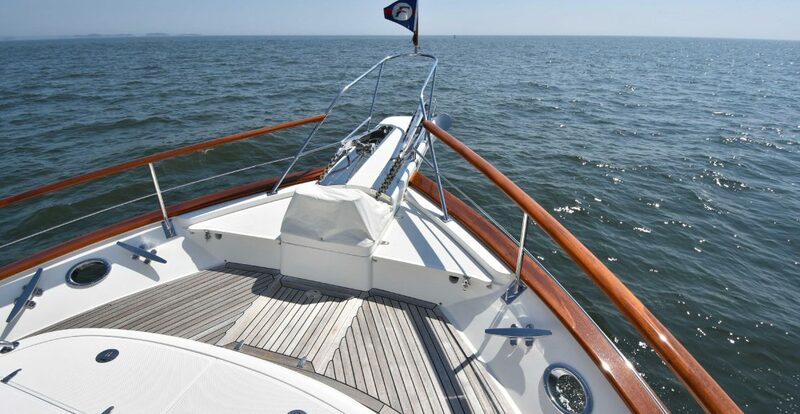 The two-seater upper helm and console are located to port, separated from the rest of the flybridge and raised slightly for improved visibility. 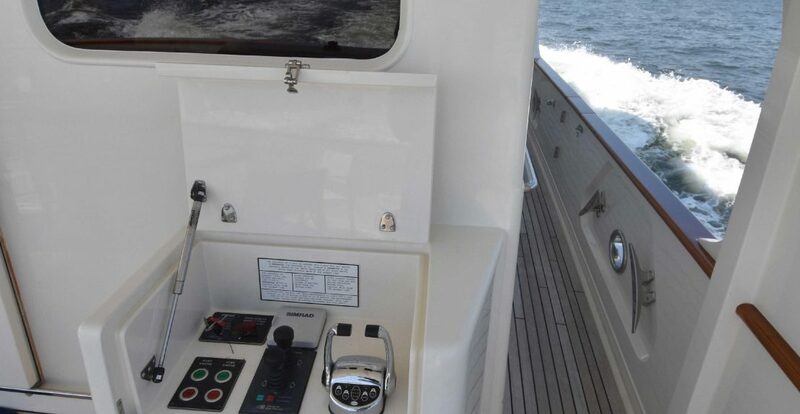 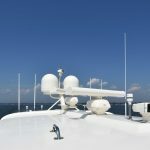 The backside of the electronics console can hinge open for easy access from within the pilothouse, overhead of the corner settee. 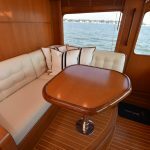 The starboard side of the flybridge features a U-shaped settee and a molded fiberglass table with granite top. 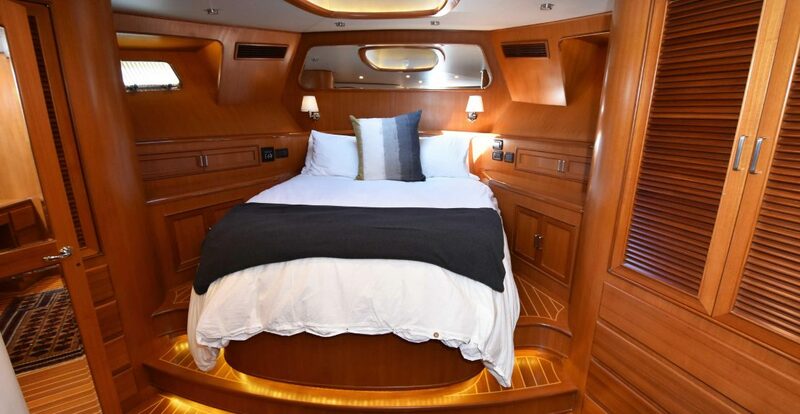 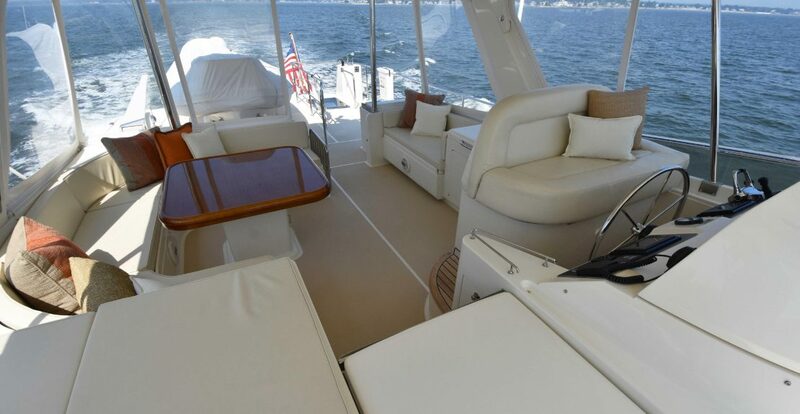 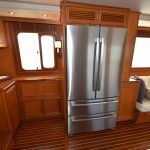 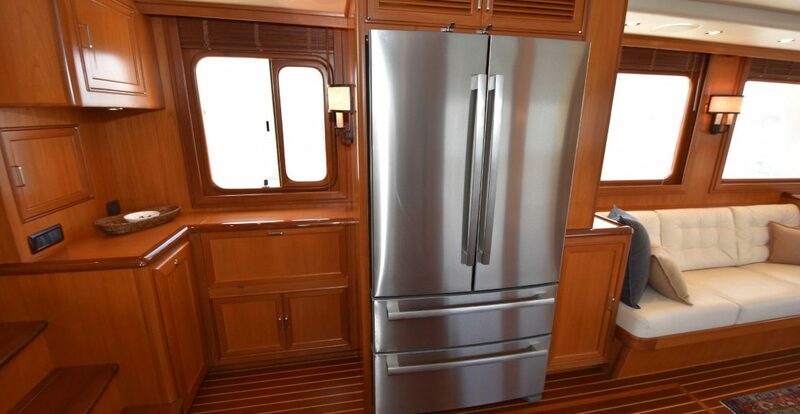 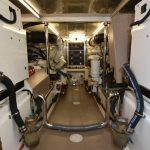 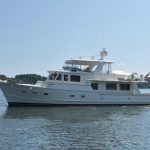 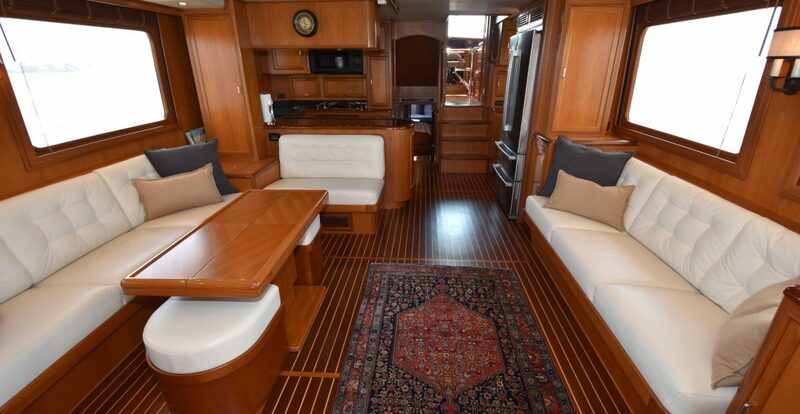 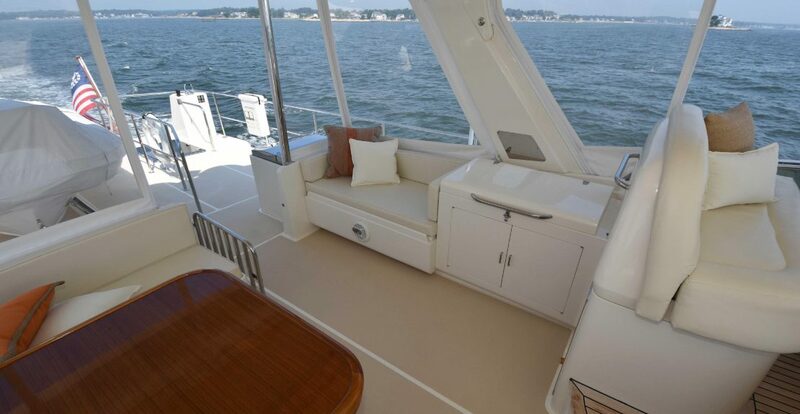 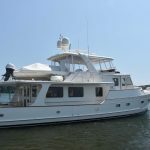 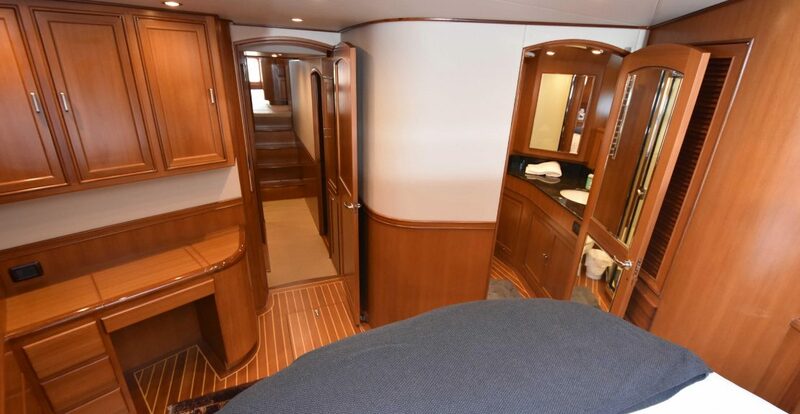 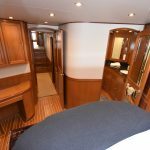 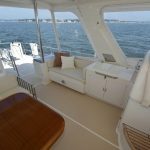 Meanwhile the port side consists of an additional settee along with a granite wet bar with sink, icemaker, and refrigerator.